I ate this dish for the first time in Germany, and I loved it. Apparently, it is very famous here (if this is not true, please let me know). But what does it actually mean? Meunière is a typical method of preparation of big fishes. To cook something à la meunière says to prepare it by first dredging it in flour. The word itself means “miller’s wife”. 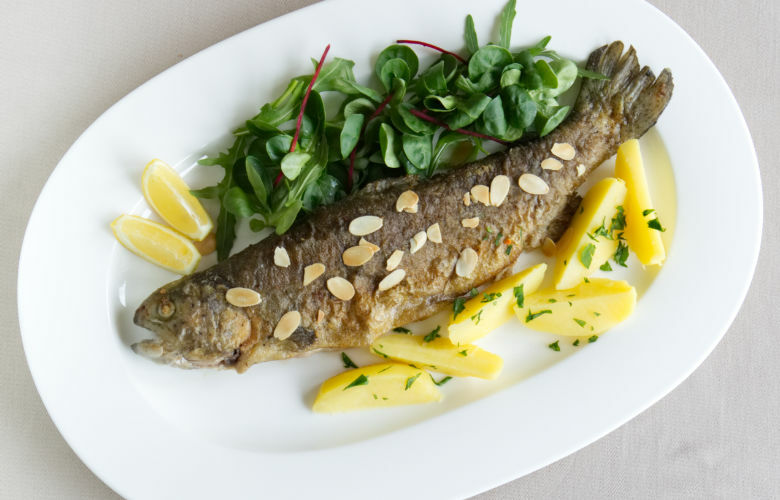 Traditional German Trout Meuniere recipe with boiled potatoes and crispy almonds.